The new deans are Adrienne C. Webber at the University of Maryland Eastern Shore, Chimay Anumba at the University of Florida, and Charles T. Moses at Austin Peay State University in Clarksville, Tennessee. 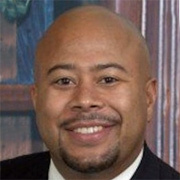 Dr. Johnson, 40 years old, is an administrator at Austin Peay State University in Clarksville, Tennessee. He has written two books on W.E.B. Du Bois. In June, he will become the only the seventh president in the 133-year history of Tuskegee University. The three African American candidates for provost at Morgan State University are Keith H. Jackson, interim provost at Morgan State, Brian L. Johnson of Austin Peay State University, and Oliver G. McGee III of Howard University. Here is news of eight appointments of African Americans to positions in higher education.